SEQUEL TO WITCHY EYE. 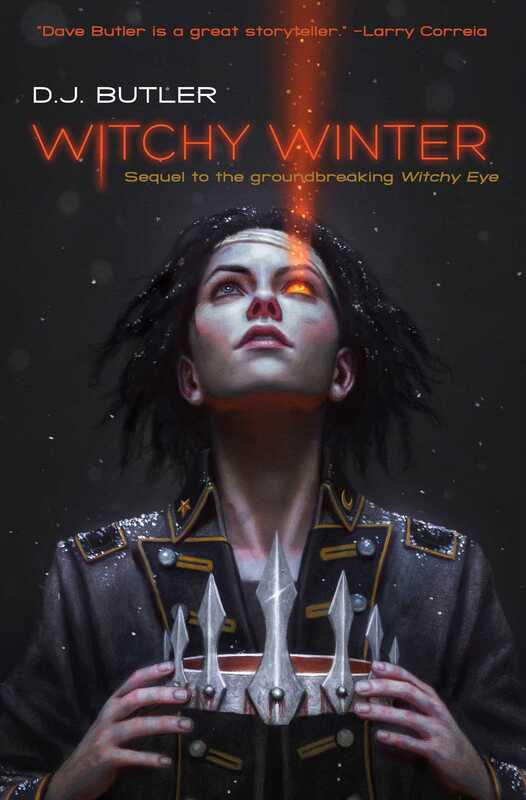 Next in series, which debuted with the stunningly reviewed Witchy Eye. Butler delivers another brilliant Americana flintlock fantasy novel. Sarah Calhoun paid a hard price for her entry onto the stage of the Empire’s politics, but she survived. Now she rides north into the Ohio and her father’s kingdom, Cahokia. To win the Serpent Throne, she’ll have to defeat seven other candidates, win over the kingdom’s regent, and learn the will of a hidden goddess—while mastering her people’s inscrutable ways and watching her own back. In New Orleans, a new and unorthodox priest arises to plague the chevalier and embody the curse of the murdered Bishop Ukwu. He battles the chevalier’s ordinary forces as well as a troop of Old World mamelukes for control of the city and the mouth of the great Mississippi River. Dodging between these rival titans, a crew of Catalan pirates—whose captain was once a close associate of Mad Hannah Penn—grapples with the chevalier over the fate of one of their mates. Meanwhile, a failed ceremony and a sick infant send the Anishinaabe hunter Ma’iingan on a journey across the Empire to Cavalier Johnsland, to a troubled foster child named Nathaniel. Ma’iingan is promised that Nathaniel is a mighty healer and can save his imperiled baby, but first Nathaniel—a pale young man with a twisted ear who hears the voices of unseen beings—must himself be rescued, from oppression, imprisonment, and madness.